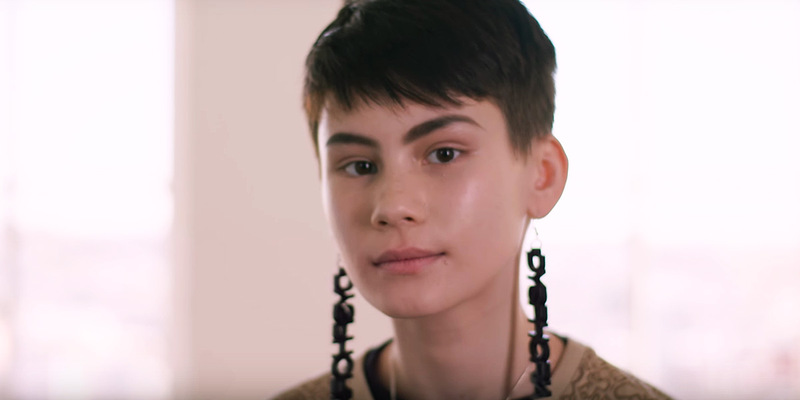 The OA actor Ian Alexander, one of the few transgender men on television, has spoken out about trans representation in the media. Netflix has released an interview with Alexander in which he shares his experience portraying the characters of Buck Vu and Michelle in two separate dimensions in The OA Part II. The 17-year-old American star, who also identifies as pansexual, first came out as a transgender man in 2014 and uses he/him pronouns. The OA is a mystery drama series that includes elements of science fiction, supernatural and fantasy. The second season – The OA Part II – launched on 22 March on Netflix. It’s described as a “mind-bending” story that follows the character of OA (Brit Marling) as she navigates a new dimension, one in which she had a completely different life as a Russian heiress, and one in which she once again finds herself as Hap’s captive. The OA Part II introduces Karim Washington, a private detective tasked with finding a missing teen. His path crosses with OA, as they try to solve the mystery of the teen’s whereabouts and a house on Nob Hill connected to the disappearance of several teenagers. The OA Part II is now on Netflix. Watch Alexander’s interview below.